← Sketch the skull of an executed assassin next Saturday with us? 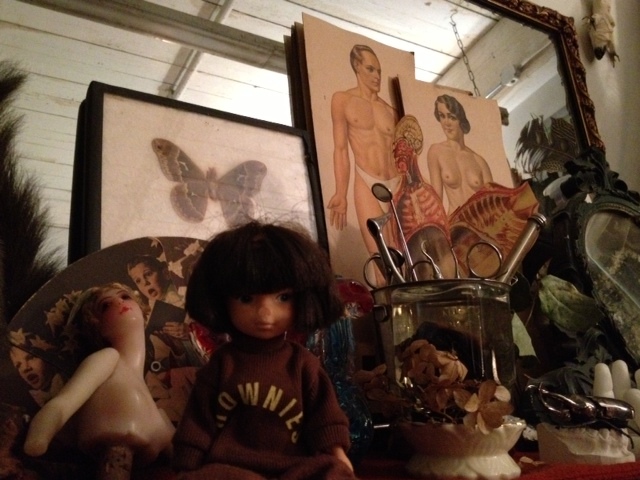 We’ve been fans of the Morbid Anatomy blog and collection for a while now and so we’re dead excited to be part of amazingly monikered “Congress for Curious People” this coming Tuesday, which is organised by Morbid Anatomy’s Joanna Ebenstein along with equally wonderful Coney Island, event producers Preserved! and UCL team. Our next event is part of this festival of events, lectures and workshops that look at the themes of spectacle, curiosity, the mind and the body and take place across London and in Blackpool. We’ll be part of Tues 3 September’s event ‘Amazing Anatomies: The Human Body as Spectacular Object’ at the Old Operating Theatre near London Bridge, where we’ll present a model as a living Anatomical Venus for you to draw. Bring along your own sketchbook/paper and we’ll provide materials to draw with, followed by two illustrated talks. If you haven’t yet to discover the Morbid Anatomy blog, then you’re in for a treat. It’s been a gateway of deathly discovery to invaluable research resources for me over the past few years, as well as providing good distractions into simply weird and wonderful in addition to the more academic, anatomical and anything else a death drawing addict may care to look at. 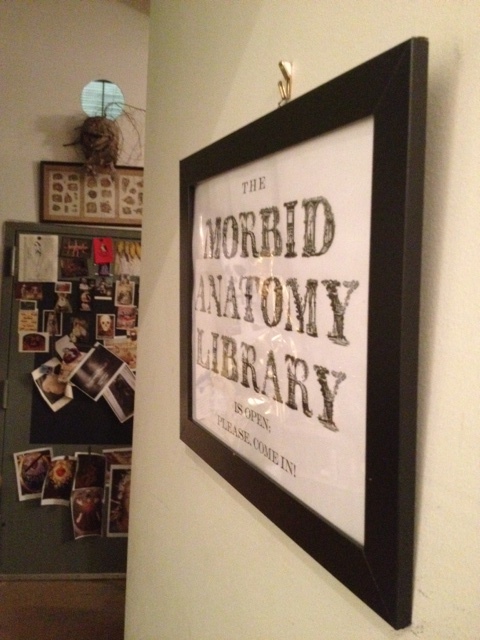 I was lucky enough to visit the Morbid Anatomy Library physical space and collection earlier this year in New York. It was high on my agenda of places I wanted to visit as part of my trip and so here are some photos of just a taste of the curiosities I saw there. I could have stayed and read the books there for a very long time, and managed to do some good research whilst there into Victorian circus and sideshow freakshows, to inspire our Circus of Skeletons salons. 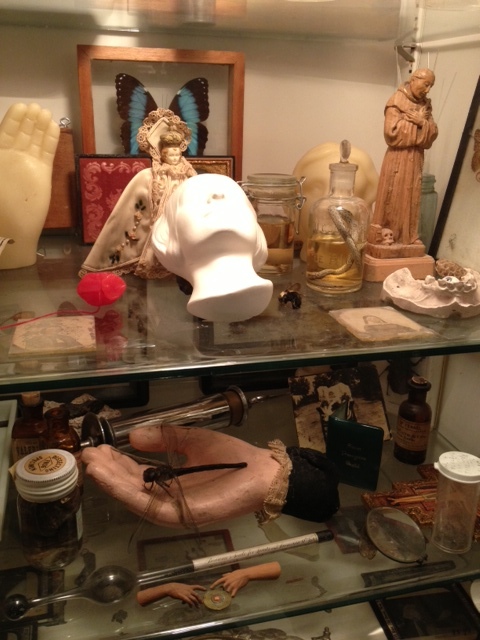 Here are some more of my photos from my Morbid Anatomy Library visit. I whole-bloody-heartedly recommend visiting should you find yourself in New York- it’s worth the trip and located in a really interesting neighbourhood too. I went past a beautifully-decorated Jewish lesbian wedding on the way there. 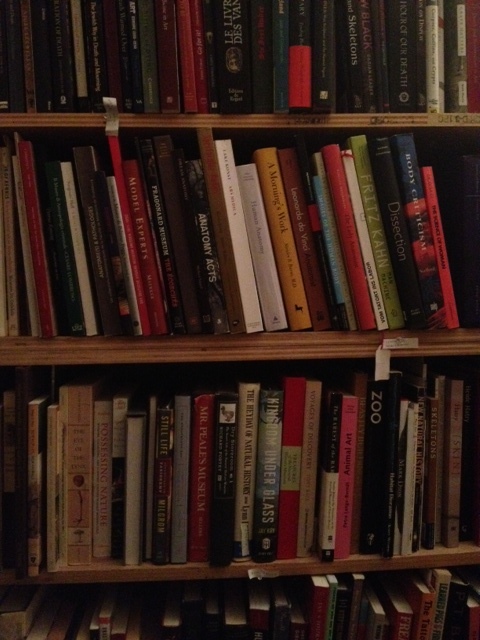 I hope I can visit again one day…there are lots more books I want to look at! Hopefully you can come along to Amazing Anatomies on Tuesday, or one of the other Curious Congress events, and get a taste of Morbid Anatomy in London town.